Long Son Cement – Give charitable houses, bring a brighter lives to the poor in the new year. 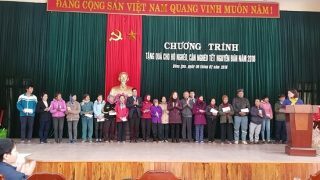 As a tradition of the Vietnam, with the spirit of humanity, sympathy “the leaves protect tattered ones”.. a lot of gifts were given to the poor for the coming Tet holiday. 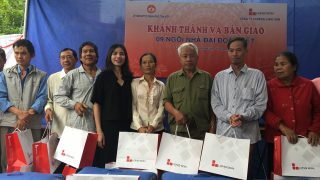 Representatives of Long Son Cement Factory donated the charitable house to Mr. Pham Hong Thai’s family. 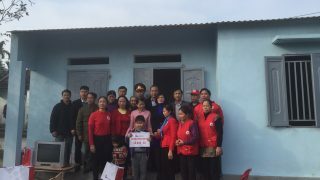 With “ a wish to share a warm spring”, on Feb 09, representative of Long Son Cement Company gave a charitable house to Mr. Pham Hong Thai- a poor and disadvantaged family who were living in a severely degrated house in village 6, Nga Thien ward, Nga Son district, Thanh Hoa province. 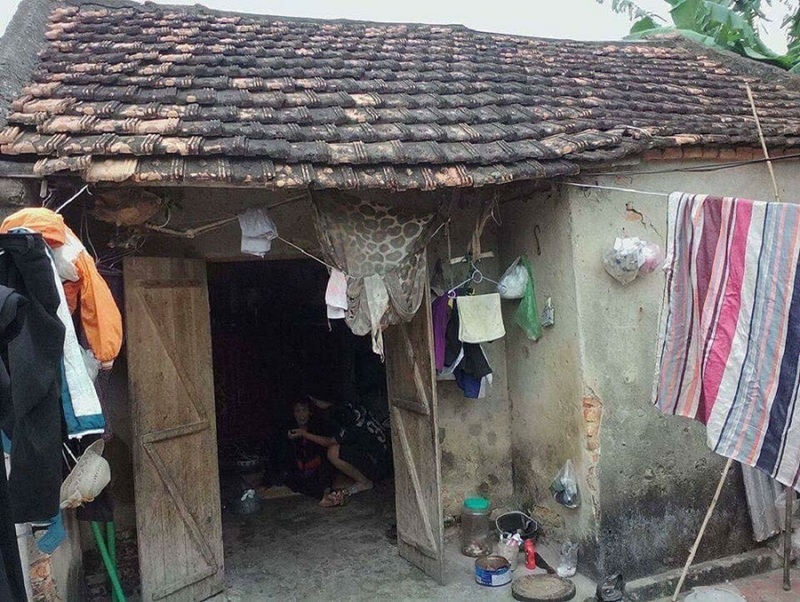 He and his wife- Mrs. Pham Thi Duoc are over 80 years old and are raising two children: 1 son and1 girl over 40 years old with mental illness and a grandson in grade 7, Nga Thien Secondary School. The old house was severely degraded. Mr. Pham Hong Thai is currently paralyzed so he only lies in one place and can not self-manage all personal activities. Two years ago, his wife got her leg broken and was unable to walk normally. She was hospitalized at Nga Son hospital and very weak. Everyday, their two psyched children have to beg for donation & help from their neighbors. 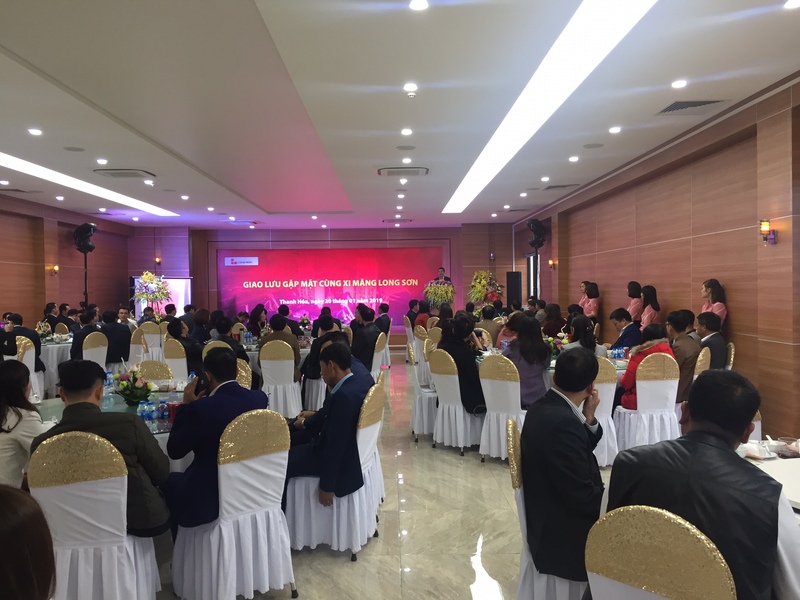 Pham Van Cuong – their grandson is currently in 7 grade. At his age when other children still stay in the care of their parents, he have juggled with his hard life. Every day after class, he has to cook for the 2 pyched people, and then ride his bike to the hospital to take care of his grandmother. In the following day, he has to leave since early morning to come back to school, Sometimes, he has to skip school to take care of his grandmother when her ill ness gets worse. The family will celebrate New Year together in the new house. 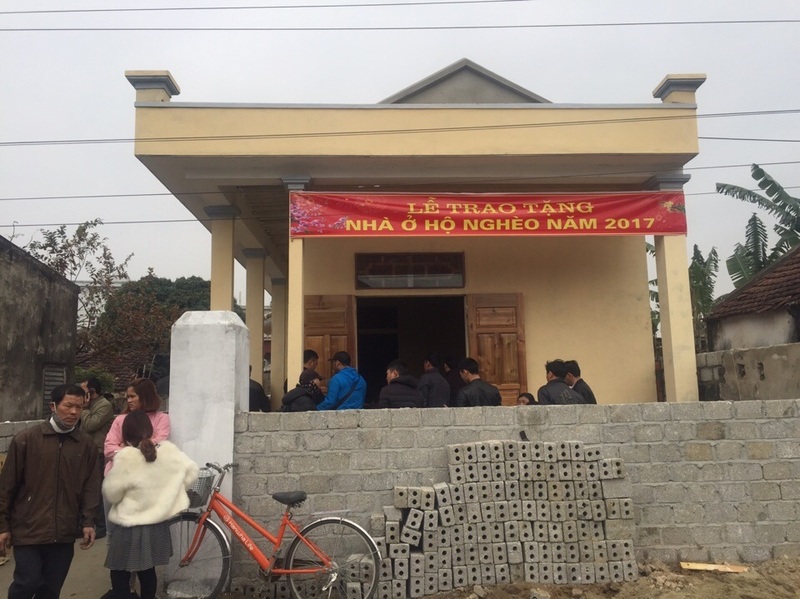 Knowing the difficult circumstances of his family, Long Son Cement cooperated with the People’s Committee of Nga Thien to build a charitable house with an area of 54m2 and a total cost of 93 million dong. 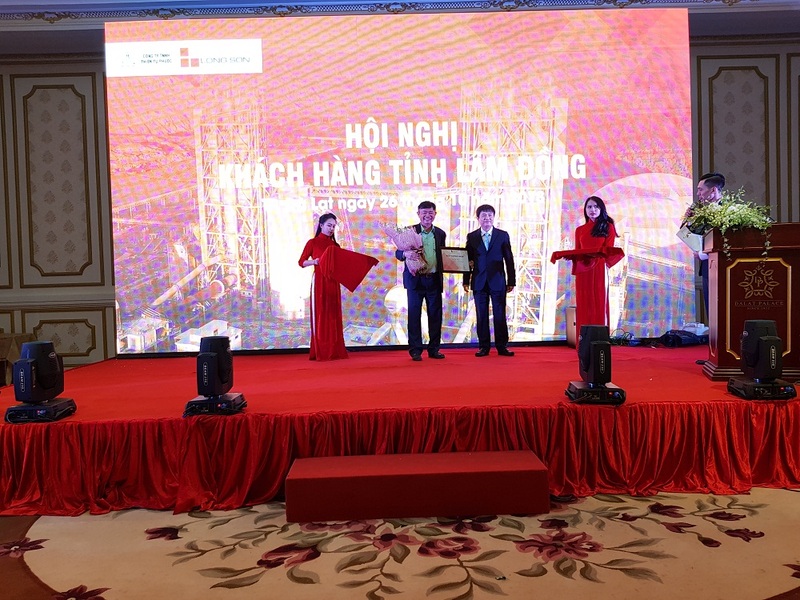 In particular, Long Son Cement provides 65 million VND of construction materials, along with donation of neighbors and charitable organizations to complete the construction works. 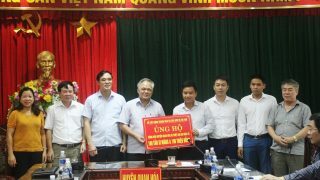 Besides, Long Son Cement has provided scholarship of 500,000 VND per month to Phạm Văn Cường until he finished high school. If Cuong wishes to attend university, the factory will continue to help or if he wished to work, the company will offer him a job. 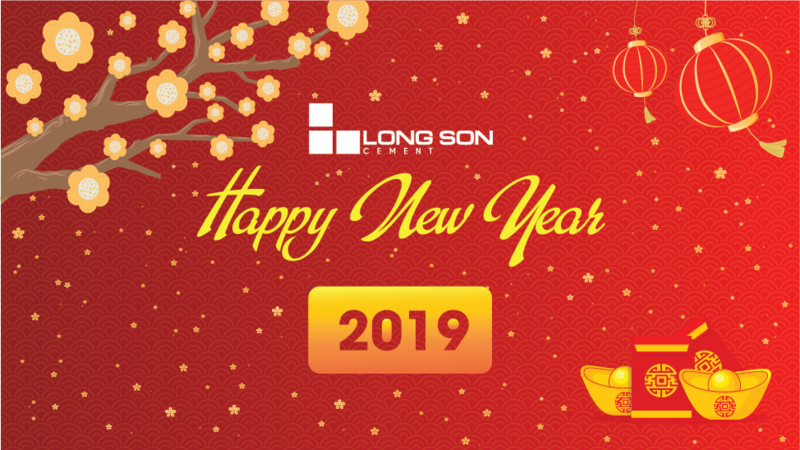 With these meaningful gifts, Long Son Cement wishes to share some difficulties and disadvantages with his family so that they could have a warm house for Tet holiday. Inauguration and hand over charitable houses to the disadvantaged family. 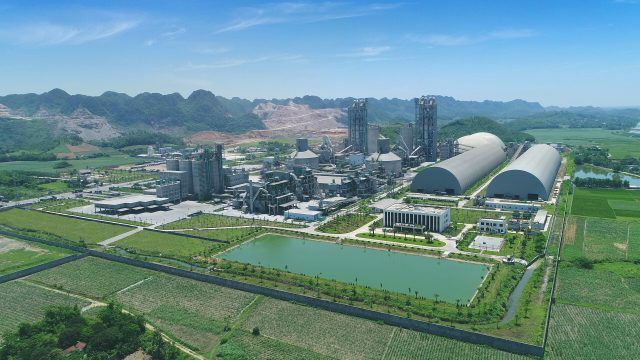 Long Son Cement Plant give house to poor people in Bim Son. 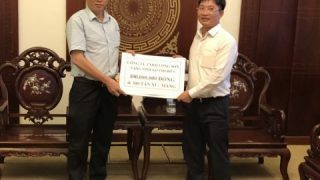 Long Son Cement Company – Joining hands to build Compassion houses. 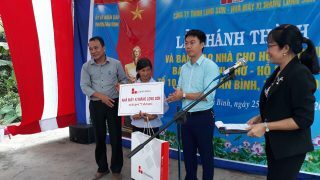 LONG SON CEMENT DELIVER TET HOLIDAY’S GIFTS TO THE POOR.